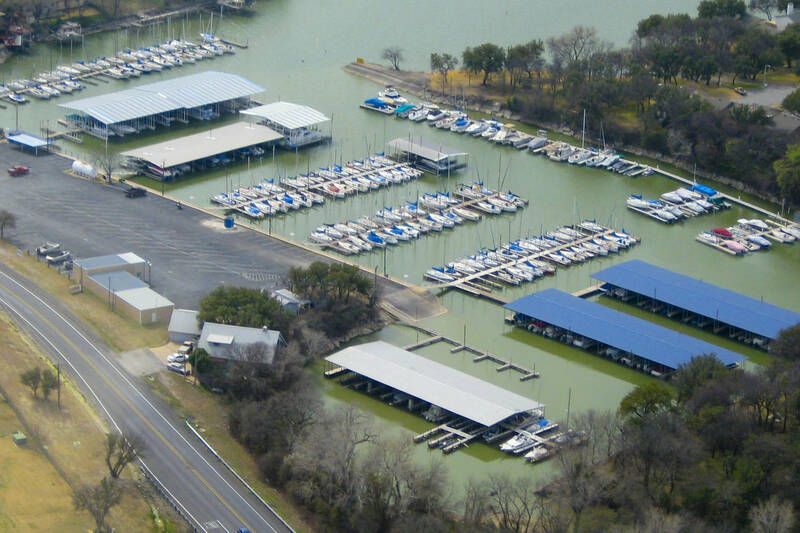 Harbor One Marina is located about 15 miles north of downtown Ft. Worth on the east side of Eagle Mountain Lake. This facility has great boating and lake access. There is also great sailboat community as well as Covered Slips that will accommodate boats up to 40 feet. Harbor One Marina is home to The Spot Restaurant, a very comfortable and laid back spot with good food and a great patio. The Spot Restaurant has great views of the marina and of Eagle Mountain Lake. The Spot serves up burgers, seafood, breakfast / brunch, and has a good happy hour. They also frequently host live music. There is also a nice two lane boat ramp available at the marina. The fee for launching a boat here is just $10. The ramp does tend to close if the lake level is low. But if the water is high enough this is a great marina where you can launch your boat.